Because it precedes Lent, Carnival long ago was conceived as the last chance for 40 days to eat meat, to make love and to live joyously, all forbidden activities during the season when one is supposed to do penance in preparation for a spiritual resurrection at Easter. Thus it was not too hard to see how the Carnival period, from one or two days to several weeks, came to be in the specific time when one purposely set out to break the mold, to determine to do all the things normally impossible or forbidden in everyday life, and perhaps even to fulfill oneself by trying out one or more alternative roles or lifestyles to be for a short time what one could never be in ordinary life. This is the reversal phenomenon so often noted in Carnivals everywhere, wherein regular behavior is reversed, and people choose to do the very opposite of their normal behavior. Carnival is truly profane since it seeks specifically NOT to be sacred, and indeed to do violence to propriety and respectability by irreverence and even contempt, often made all the more effective through the use of indirection, humour, and irony. Come celebrate Brazilian Carnival with a night of samba, bossa nova, tropicalismo, and tons more!! It’s going to be a GREAT time!!!! 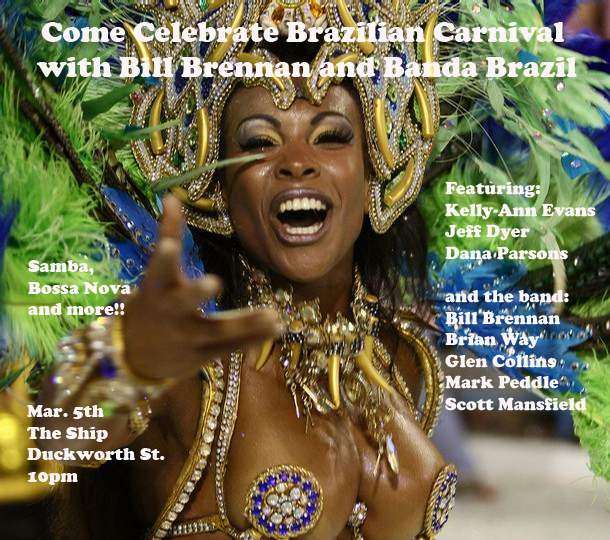 Bill Brennan and the Banda Brazil was initially formed to celebrate Brazilian Carnival. The band is comprised of some of the most active musicians in St. John’s – Dana Parsons, Kelly-Ann Evans, Jeff Dyer, Brain Way, Mark Peddle, Glen Collins, Scott Mansfield and Bill Brennan. 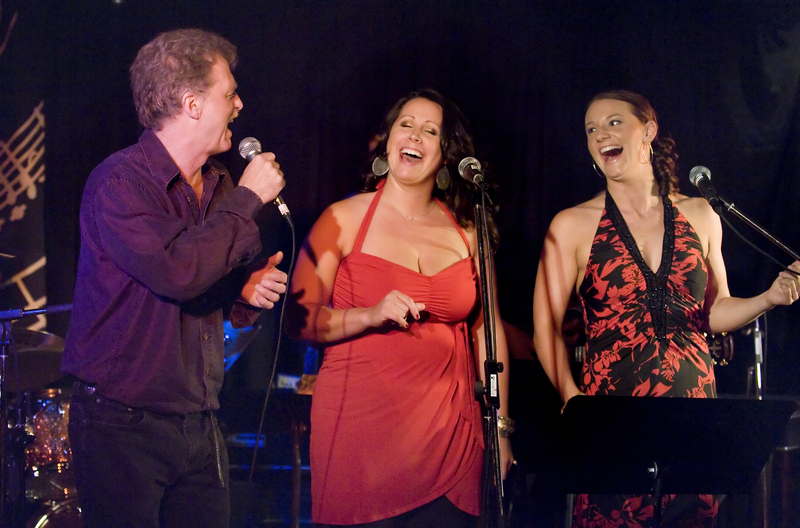 The band is dedicated to performing the classics in Brazilian music – music written or made famous by Antonio Carlos Jobim, Elis Regina, Djavan, Gal Costa, Beth Carvalho, Joyce and more.